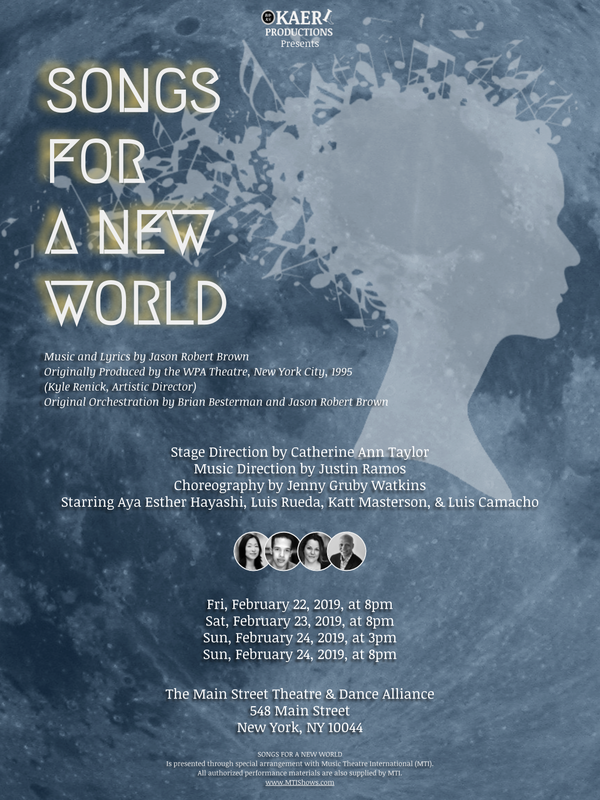 Okaeri Productions presents Songs for a New World (music & lyrics by Jason Robert Brown). Starring Luis Camacho, Aya Esther Hayashi, Katt Masterson, & Luis Rueda. Direction by Catherine Ann Taylor. Music Direction by Justin Ramos. Choreography by Jenny Gruby Watkins.